Detention and per diem fees are charged if containers and chassis are not returned within a specified time. Petition before the FMC wants free days to be extended when delays are beyond the control of the parties. Johnsonville Sausage of Sheboygen Falls, Wisconsin, incurred $219,292 in additional cost in 2014 and 2015, including detention, storage, airfreight, demurrage, and per diem cost due to the West Coast shutdown, according to Curt Reynolds, the company’s director of logistics. “Our company has experienced repeated incidents of severe congestion at container terminals in US ports at Oakland, Tacoma, Los Angeles, and Long Beach which have prevented us from delivering our cargo,” he wrote the commission. MacMillan-Piper, an operator of four warehouses in the Seattle/Tacoma area, was billed $1.25 million in detention charges by 17 steamship lines from May 2014 through August 2015, for 953 containers, according to Suzanne Tilley, the company’s compliance and assets manager. “To support our normal volume of business, trucks leased to us need to each move an average of eight containers a day through the ports,” she wrote. “This was not possible during much of 2014 and 2015, during which time trucks often had no more than two moves per day.” The $1.25 million was eventually reduced to $250,000 after a year of disputes. Carriers like Crowley routinely negotiate with shippers to mitigate extra charges “where it is equitable to do so,” Twaits added. 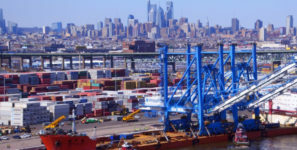 At least one shipper is anxious that congestion at US ports will be getting worse, a situation which would only complicate the issue of demurrage and other penalties. Sharon Schneider, director of operations and logistics at Marc Fisher Footwear in Greenwich, Connecticut, reported that the company could could pull a container from the Los Angeles pier in two to three business days six years ago and that it now takes an average of six days.